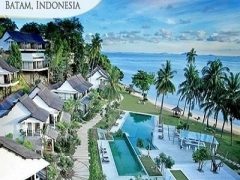 Cheap Hotel Accommodation Deals | 2D1N Stay at 4* Turi Beach Resort, the only Beachfront Resort in Batam w/ Transfers & Perks! 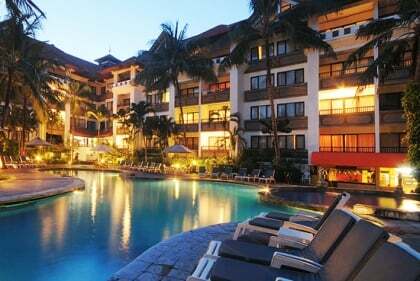 2D1N Stay at 4* Turi Beach Resort, the only Beachfront Resort in Batam w/ Transfers & Perks! 1 voucher is valid for 1 pax. Min of 2 pax travelling together to go. Rooms are based on twin sharing. 3rd pax may purchase additional voucher for a triple room with extra bed. 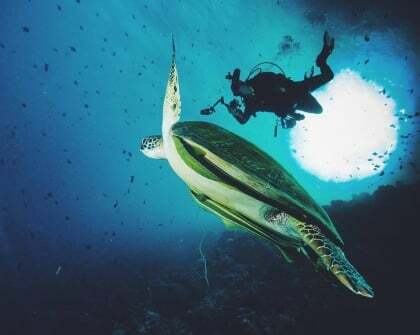 * This Sea Action Pack rate is per person (includes 21% tax & service charge). Minimum 2 pax required to avail this offer. This Sea Action Pack is only valid from Mon-Thu excluding long weekends & PH. 2D1N BATAM, INDONESIA [HOTEL + FERRY]: $99 per pax for 2D1N Stay at 4* Turi Beach Resort, THE ONLY BEACHFRONT RESORT IN BATAM (Premier Room with Sea-Facing Private Balcony) + Full American Breakfast + 2 Way Ferry & Land Transfers + Attractive Perks! Min. 2 to go. • Free Wi Fi in the lobby area. Immerse yourself in this Indonesian boutique paradise and explore the beauty of nature with a fun holiday stay at one of Batam's premier beach resorts, TURI BEACH RESORT, brought to you exclusively with today's StreetDeal! Nestled in Nongsa Resorts, at the northeast part of Batam Island, and 35 minutes away from Singapore by ferry and 15 minutes from Hang Nadim Airport. Set amid 7.7 hectares of beautiful green landscaping in a tranquil tropical village, Turi Beach Resort features Modern - Minimalist accomodation in Tirta wing and Riau – Balinese in Riani wing. All 140 rooms and suites are facing the sea being well spread over the beach front and the hillside. Turi Beach Resort is your idyllic retreat in the tropical Riau Islands amidst unspoilt beauty and fine beaches where tranquility and impeccable service are rightly yours to savour. Each beautifully designed resort room and suite has a private balcony which offers a spectacular panoramic view of the sea and the Emerald pool.